Is Kavazovic headed out of AFC Leopards? No sooner had AFC Leopards thought they had finally found a solution to their two-decade wait for the Kenyan Premier League crown than the expectation blew right on their faces. Reports in South Africa are suggesting that new coach Nikola Kavazovic is negotiating for a move to Free State Stars, barely a month after agreeing to join AFC. The Serbian coach left the club last week saying he is flying back to Serbia to ‘attend to personal matters’ which was later explained as attending to his ailing father, but now, he might have just walked out on the former league champions. According to South African website Soccer Laduma who quoted a unanimous source, the tactician has been negotiating with Free State whose coach Luc Eymael resigned two weeks ago. Efforts to get word from the AFC Leopards management was futile as calls went unanswered. 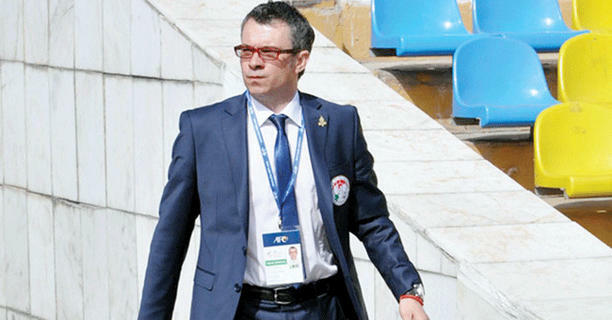 Kavazovic had been said to have brought a positive influence in the team and the belief was finally back. He cut short his pre-season to fly back to Serbia and according to a tweet he sent out, his assistant would be arriving to take charge of the team before his return. “Sorry to be absent for a while for family matters. Be sure my assistant will take a good care of the team meanwhile in day by day communication,” the tactician said in a tweet on December 1.